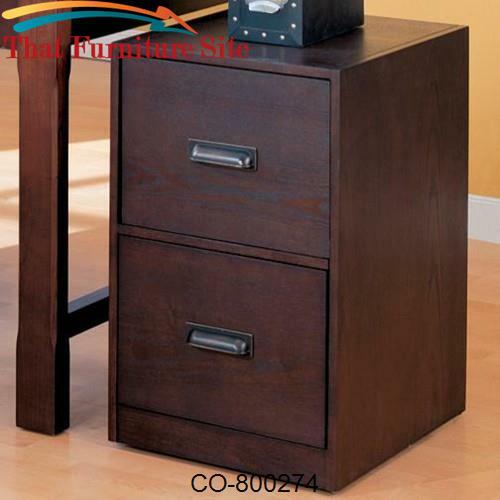 This simple and stylish file cabinet will be a functional addition to your home office. 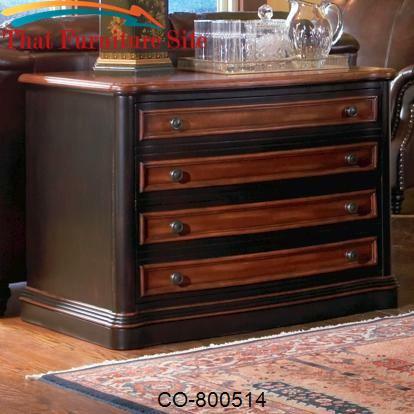 The piece shows off clean sharp lines in a dark wood finish. 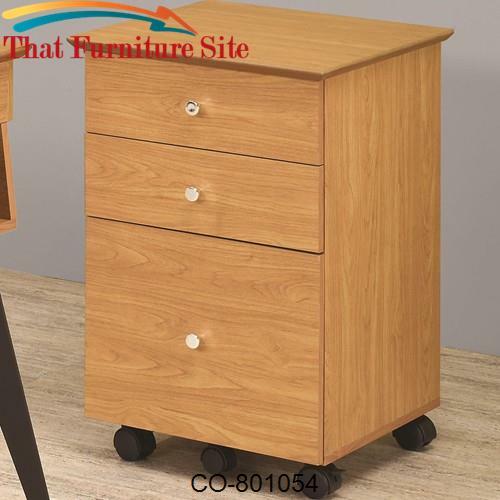 A locking top drawer, standard storage drawer, and lower file cabinet offer all the storage you need to keep your office organized. 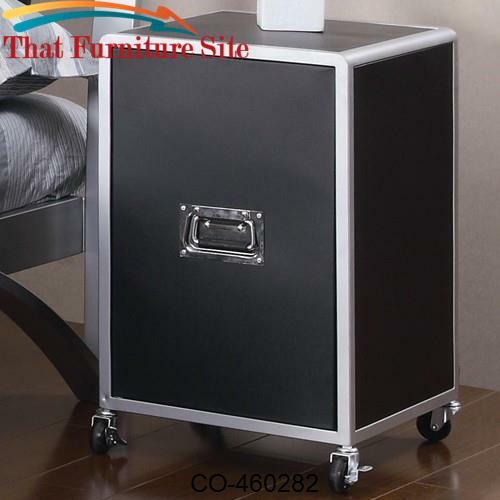 Casters at the base make this piece mobile. 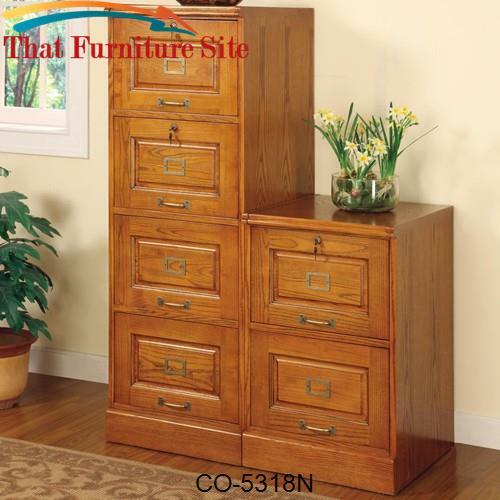 Pull this cabinet below the matching desk for additional storage where you need it. 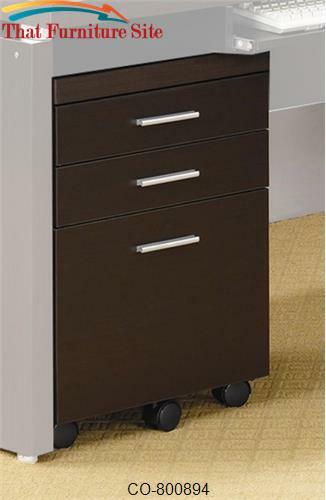 Sleek silver handles accent each drawer front for a bold contrast, creating the perfect finishing touch. 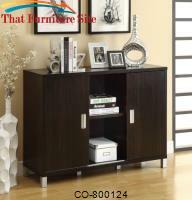 The Decarie collection offers no-fuss casual contemporary style for your home office. 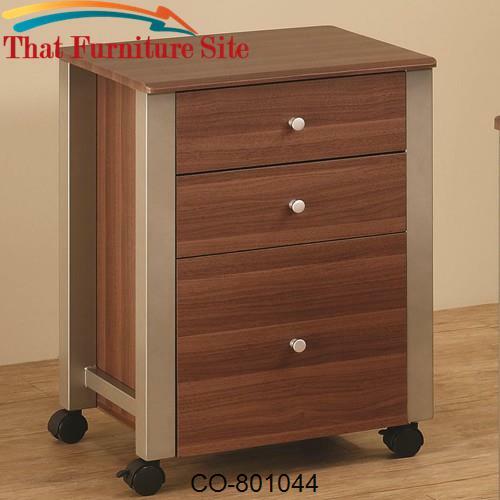 These pieces offer tons of functional features, including spacious storage options, locking drawers, and casters for mobility. 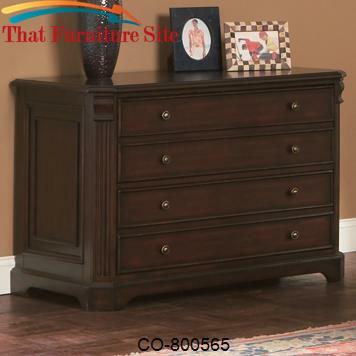 Clean sleek lines are covered in a rich dark wood finish, and accented with silver hardware for a bold look. 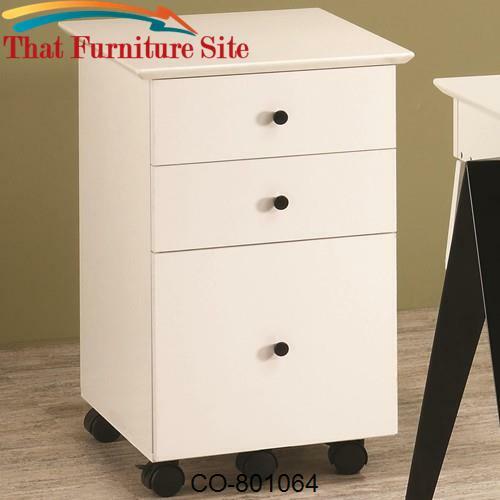 Create a calming workspace, with everything you need, with the cool Decarie collection.